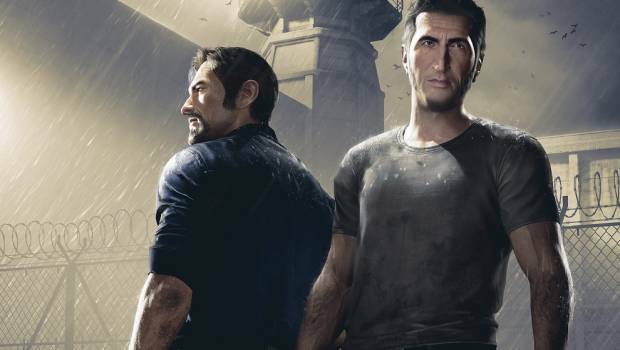 Summary: A Way Out is an ambitious co-op only, split-screen only adventure game with a compelling story, interactive environments and fun ideas that's a little messy in execution but fun with a friend. A Way Out is a unique blend of cinematic narrative and couch co-op gameplay that is unlike any other video game out today, for the simple fact you need two players to actually play it. Yes, there is finally a new split-screen game on the market, and no, playing with another person is not optional. This is a focused co-operative experience where you play with a friend or partner through an interactive story centered around two prisoners, either in local or online mode. The concept of A Way Out is ambitious and fresh, and while the end result stumbles in providing consistently engaging gameplay mechanics and puzzles throughout, it’s a solid game to play together if you’re craving a dramatic and slightly pulpy interactive video game story. 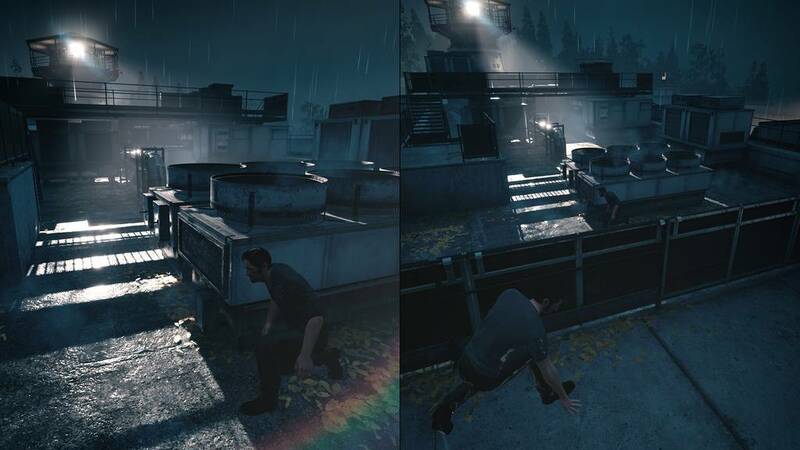 A Way Out is split into 37 chapters and takes around 6 hours to beat, with the action fast-moving and story intense the majority of the way through. Each player takes the role of two grizzled convicts: Leo is six months into an eight-year sentence for armed robbery and the type of guy in your face and his hands dirty, while the brooding and cunning Vincent enters the story about to begin a lengthy 14-year sentence for fraud and murder. After a series of violent circumstances, what unfolds is a cliché yet entertaining B-movie plot that has both men join forces to make it outside and take down a common enemy. The best part of the game is undoubtedly the opening hours, when you and a friend experience the monotony of prison life and eventually set into motion the great escape, passing tools in between your prison cells to chisel away while the guards are distracted, or hide in laundry carts and start brawls to access forbidden areas. The teamwork required to solve various puzzles or obtain the items necessary to progress is straightforward, with few if any alternative solutions and many overly convenient objects, but it’s fun and the strong writing kept me invested in the pair’s goal and budding relationship from cold strangers to dependent partners-in-crime. It’s no spoiler the pair escape the prison, but thankfully the same intense scenarios and momentum of the evolving story continues long after Leo and Vincent make it outside. 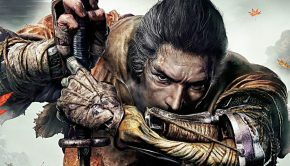 From running through the American wilderness in the darkness of night to evade capture, to catching fish with a spear and sharing tales, there’s a decent mixture of action-packed sequences and quieter moments that are paced just right so both players are kept constantly engaged. In certain parts of the game, Leo and Vincent argue over how to proceed (brute-force or with smarts), prompting healthy debate with your co-op partner on the best way forward. 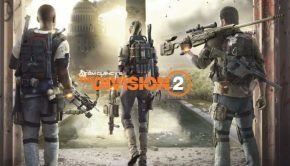 The developers clearly put a lot of life into the setting of each chapter, with a decent number of NPCs and optional elements to interact with in the environment that provide entertaining distractions or even just humorous conversations. One particular chapter allows you to lure an old couple out of their home to steal their car, but if you stop for a moment you’ll realise you can explore their home, where you can play fun QTE rhythm mini-games with a banjo and piano, discover hidden treasure tucked away in a secret room or climb a windmill and laugh at how Leo’s fear of heights makes his side of the screen shaky. It’s just a shame most of the mandatory co-op set-pieces aren’t as creative or satisfying to pull off. Many of the QTE hand-to-hand brawls with enemies or police chases with Vincent at the wheel and Leo shooting tyres with his shotgun, for instance, look cool but feel clumsy in execution, while knocking out unsuspecting guards or giving your partner a leg-up to a out-of-reach section are heavily repeated and monotonous tasks done better in other games. Apart from its co-op gameplay hook, what makes A Way Out stand out from the crowd of interactive adventure games already out there such as Life is Strange is its clever use of the split-screen. Almost the entire game is played with the screen split in half to accommodate Leo and Vincent’s perspectives, even if you’re playing with someone online using a different television than yours. During my playthrough, I found it allowed me to keep tabs on what random corner my wife was stuck in while I plotted our prison escape, or when she was in a separate area solving a puzzle or talking to different NPCs, which was neat and well utilised. This attention to detail and cinematic framing is undoubtedly the game’s biggest strength. The transition from scene to scene and the timing of how and when the screen is split has been carefully considered, with the action focusing on one side depending on major events or conversations. Sometimes, the game plays out across one unified screen, and other times a third or fourth split arises when a new character or story beat demands the player’s attention. 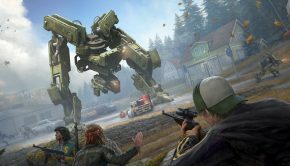 Graphically, Hazelight Studios offers up a polished and good looking game that shows off its investment from major publisher EA, with some impressively detailed environments and character models. The soundtrack is very 70s-esque and sombre at times, but unfortunately the sound department slumps a little with some poorly voiced dialogue from side characters. The generic script and forced banter definitely gives A Way Out that B-movie, 70s action-thriller feel, but thankfully the final part of the game takes things up a notch with a decent twist and stronger acting. 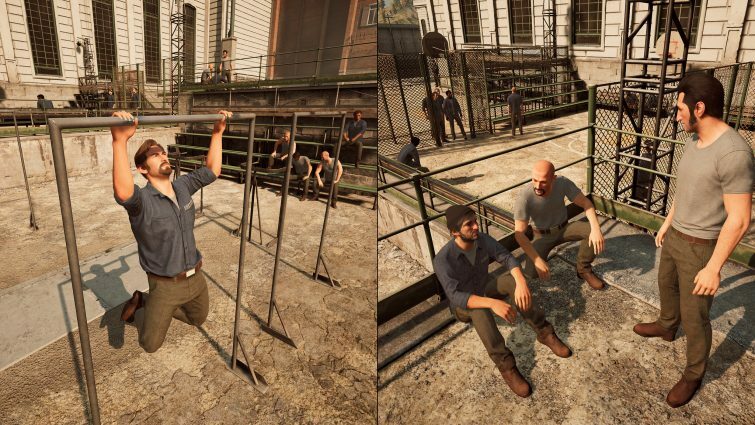 With its lofty ambitions and special emphasis on multiplayer, A Way Out generally makes good on its pre-release promise of providing a compelling narrative-driven co-op game that brings players together, even if many of its actual gameplay mechanics aren’t as well executed. 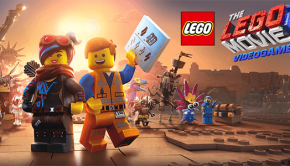 This is a fun game best played over two or three nights with your friend or partner, as it moves at a brisk pace and is bite-sized enough for casual gaming sessions. Yes, it isn’t an instant classic, but I can’t help but admire the ambition from Hazelight Studios to put out a split-screen only, co-op only, story-first experience in a landscape currently obsessed with multiplayer. Long-live split-screen gaming!